If you are going to drive a custom van, it better have some serious flare. Start with 4-rectangular windows on each flank, cover the insides with plush fur, and then put it on 6-wheels...yeah...that'll do pig, that'll do. 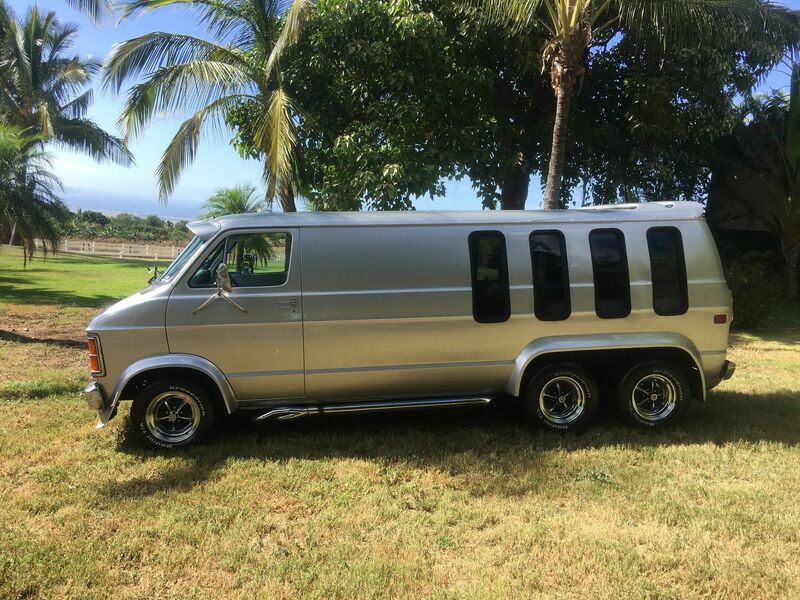 Find this 1982 Dodge B250 Custom here on eBay bidding for $8,600 with a few days to go, located in Hawaii. Shipping from Maui to LA is easy..I'll drive it to the shipping dock here for you & help organize. Takes about 7-10 days. Most auto transport services pick up for you in LA. 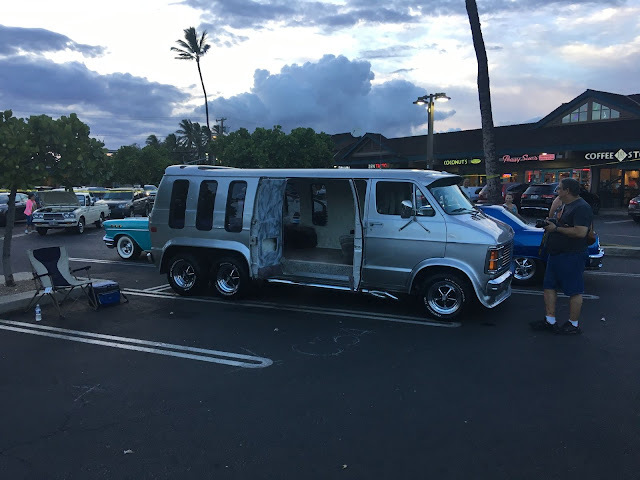 FYI, the van is located in Hawaii, Maui. I use Matson to ship cars. It's $1,100.00 and takes about a week to make it to LA. It's very easy. The add says the van is in Las Vegas,,,tried to change that but couldn't. I'll help organize shipping, I'll drive it down and hand it off to the dock for you. I'll overnight the title to you the same day payment is cleared the bank. All guages, lights, wipers, cig lighter etc. work. One key locks all the doors. No leaks, ignition & cooling system work great, starts every time and runs cool. I'll help with organizing shipping. It's very easy. Good luck, I see a lot of people are watching this van..rare one in this shape. Depending on your location, I'm planning a trip to the mainland so it's possible that once it gets to LA I could fly over, then drive it to you. Buyer pays for gas, etc. but I'm willing to do that. If it sells for the right price. Hey DT....what's up with all the bots starting to spam this place? Dane something or another a couple days ago, and now Mk Yaqoob. Shouldn't the recaptcha (or whatever it's called) verification filter them out? How much ta wanna bet it is going to japan? Nice offer! I'd love to get such a vehicle as I need to write a dissertation but for the next month I'll be on the road. So a car where I can both ride and write will be excellent.